The items had different designs on each side. The only pieces I am currently aware of are the 1 3/4 quart Saucepan (P-1 3/4-B), 2 1/2 quart Saucepan (P-2 1/2-B), 8 cup Brew N' Serve (P-508), 4 quart Sauce Pot (P-84-B), 10 inch Skillet (P-16-B) and the Bread Pan with a Gold color plastic lid (P-315). 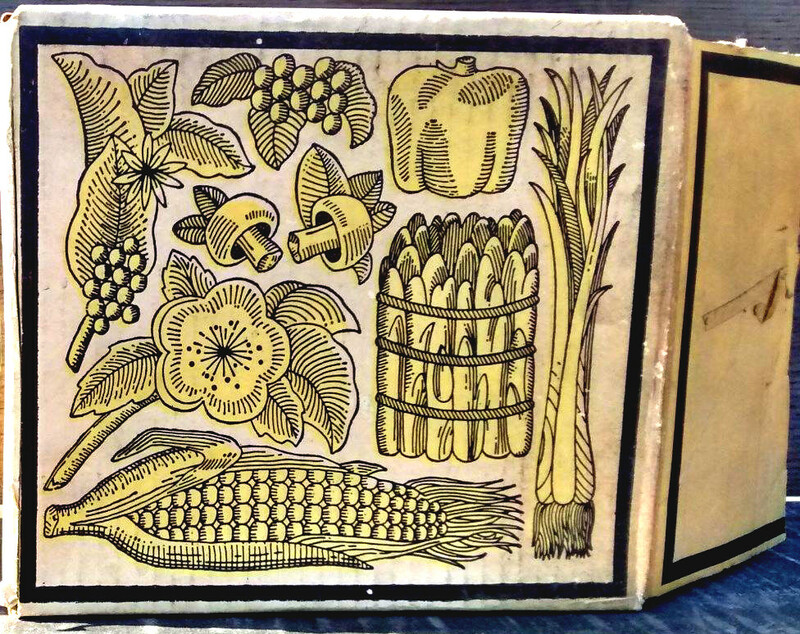 There may have been a broil and bake tray as well as a percolator, but I have never seen one in the Nature's Bounty pattern. Nature's Bounty saucepans & the skillet all sported the Pebble textured lids that were found on the Renaissance Limited Edition Gift line from 1970. The differences in pattern on the skillet are more subtle than the other pieces. I found it interesting that the 10 inch skillet is actually a P-16-B (which was labeled as 11 inches before 1971). This particular dish also shows one of the failings of this pattern. For some unknown reason, the enameled design has a flaking problem and peels over time. MOST Excellent!!!!! I was wondering if it was really a P-16-B (which is really 11 inches) because the old photo of the set has the domed P-12-C lid on it (like the P-84 and P-34)... Thank you for clearing that up... Would you mind if I "borrowed" those photos and updated this post? No, I wouldn't mind. Borrow away! Do you have any idea what the piece might be worth? It was a limited edition gift line like Platinum Filigree and Renaissance, so it is definitely worth more than the average piece... But Nature's Bounty is one of those weird patterns that never really caught on. The color was a little odd and the general public sort of rejected it. So while it is rare, there aren't a whole lot of people who want to collect it. I have tried to avoid giving any "official" price information on the blog, because it is very determined by what is available in that part of the country. 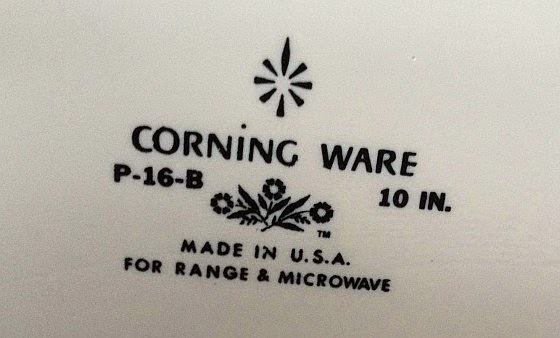 Email at corningware411@gmail.com and I would be happy to tell you what "The Book" said in 2005 and take it from there.